Cave divers pushing sumps in Slovenia’s Postojna Cave system have extended the longest show cave in Europe by an additional 3.5 kilometers (2.17 miles). Although it has been known for a century and a half that Black Cave, Pivka Cave and Planina Cave are part of the Postojna cave system — the same underground river flows through them all — the actual connection has remained a mystery. With only 2 kilometers (1.24 miles) separating the Postojna Cave and the Planina Cave systems, cavers have long searched for a way through. The first exploration began as early as 1852, following the idea of routing the Southern Railway through Postojna Cave, however the most extensive exploration activities took place in 1976, 1983 and 1998. 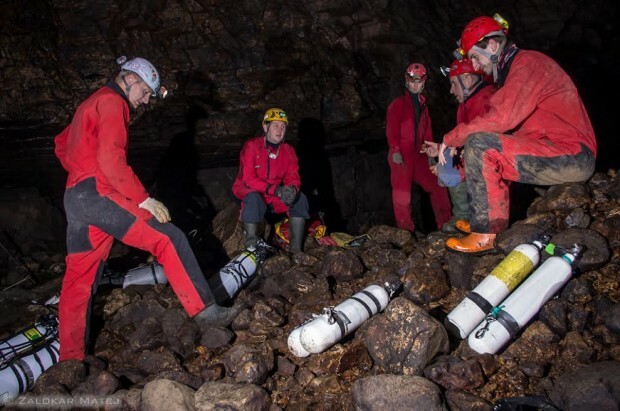 With a new exploration initiative by the Postojna Cave Management Board which pledged moral and financial support for explorations, three cave divers along with a crew of support cavers renewed the search for a connection earlier this year. Pushing outflow siphons in Pivka Cave in hopes of connecting it to Planina Cave, the cave divers successfully broke through a very difficult fourth siphon during a dive on June 20th. They reported a number of side passages and an abundance of the subterranean life including a large proteus colony. With only 400 meters (1,312 feet) to go to make the connection, the cave dipped down into yet another fifth siphon. It is slated to be tackled during the next expedition. 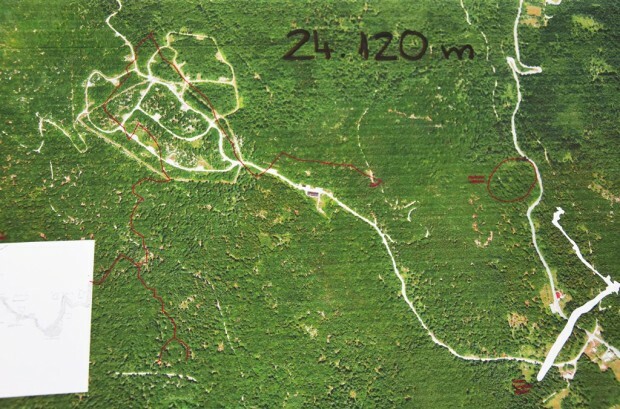 Now at 24,120 metres (14.98 miles) long, the cave is expected to grow to between 31 and 35 kilometres (19 and 22 miles) in length once everything is connected. Further exploration activities depend on a number of circumstances, in particular weather conditions and the river water levels. Despite hopes to begin the exploration last year, it had to be delayed due to weather.